Richard Parker, the man whom I knew when we were boys and who allegedly murdered his in-laws with a package bomb in February, goes on trial in October. Richard made a court appearance in Lebanon, TN this morning. In that preliminary hearing, his trial date was set for October 28, 2014. The Lebanon Democrat reports that Richard has been “charged with two counts of premeditated first-degree murder, two counts of felony first-degree murder and one count of unlawful possession of a prohibited weapon.” The Tennessean notes that Richard is being defended by public defenders and is currently being held at the Riverbend Maximum Security Prison. The Tennessean’s Andy Humbles also reports that Richard’s case is no longer sealed. The next hearing in the case will be June 20. 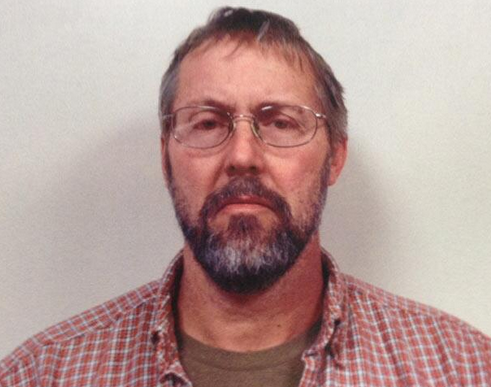 Richard Parker, whom police believe killed his in-laws last week with a bomb, will be arraigned this morning. I’ve written about knowing Richard when we were children here and here. The paper also reports a grand jury indicted Richard on Feb. 13. Charges against him include felony first-degree murder and premeditated first-degree murder. Richard is in the Wilson County jail on a $1 million bond after his Valentine’s Day arrest. Police focused on him after an explosion killed Jon Setzer, 74, and mortally wounded Jon’s wife, Marion, age 72. Richard, who is 49, attended bedside vigils for his dying mother-in-law before his arrest. The Setzers and Parkers lived on Vance Lane in Lebanon, TN. The Setzers, according to some reports, moved there a few years ago to be closer to their grandchildren. Richard’s mother, Sarah Lee Parker, may have been living in Richard and Laura Parker’s home. A friend who lived near Mrs. Parker’s former home in Antioch, TN told me she sometimes checked in on Sarah Lee Parker until a few years ago. My friend believed Mrs. Parker, who would be in her early 80s, was suffering from dementia. 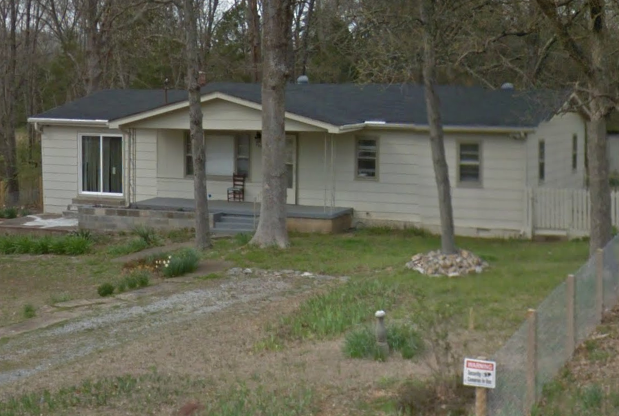 In the last couple of years, Google’s camera car captured a For Sale sign in front of Richard’s childhood home (see left), but online records show Sarah Lee and “George W Parker et Ux” still own the property. So–Richard’s mother may well be in failing health and her property slow to sell [see update]. Also, Tennessee business records show Richard’s Legacy Restorations was inactive. If Richard Parker killed his in-laws, he did it for money. It’s tempting to tell old stories I know about Richard, his parents, his aunt and uncle. I will save most for another time. After all, many stories are gossip, worthy of skepticism. However, a relative reminded me of one story over the weekend that was just strange. Hearing it again made me wonder about the real Parker household. What it was like when no one was putting on a good face for visitors. Richard’s mother kept german shepherds in their fenced back yard. I don’t remember how many they had at any given time. I do remember the house smelling like their dogs–a problem we had in my home as well. When Sarah Lee Parker was angry at her husband, Bill, the story goes, she would go and sit with her dogs. I’m told she did that because when she was with her dogs, Bill Parker wouldn’t go near her. 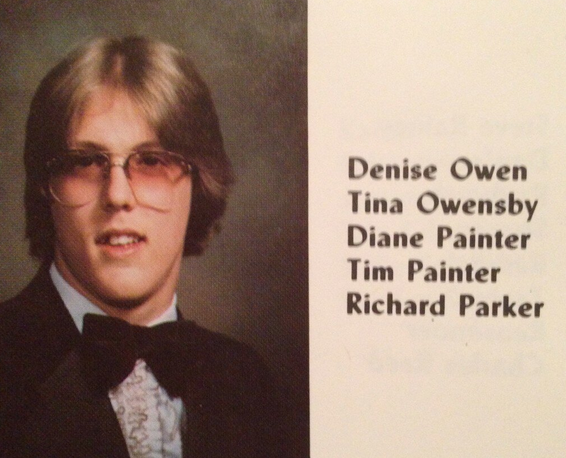 I don’t recall thinking Mrs. Parker mean (she was tall, and Richard has her eyes). She seemed distant compared to my warm and funny mother, or her sister-in-law Katherine, who was also friends with my mom and my paternal grandmother. I’ve hated Richard Parker for 36 years. I wasn’t surprised to see him on every major newscast and all across my Twitter feeds, arrested for murder. I should have been, many who knew him were, but I wasn’t. That said, the story of his mother surrounded by her dogs so his father would stay away kindled a moment of sympathy. Not for Richard, for his family. Then, and now. At my 2006 high school reunion, I spoke with friends I’d known since elementary school. They told stories about their lives when we weren’t at school that opened my eyes to how little we see when we’re kids. We may get a sense of this or that–I often did–but unless we’re next door neighbors, we don’t know. I knew by age 10 I wanted nothing more to do with the boy who became the alleged killer, Richard Parker. I don’t know what was at work in Richard’s boyhood home that could explain the explosion that killed Jon and Marion Setzer. I do wonder if it began there, a mile away from me, in another house on Hamilton Church Road. Mrs. Parker’s house sold last year and now a Mexican family live there and they have remodeled. The proceeds from the sale and a subsequent ‘moving’ sale were used to build two rooms onto Richard’s house. Mrs. Parker has lived with Richard since then. My friend watched Richard’s arraignment and said he has been appointed a public defender and cannot pay bail. He’ll remain in jail till his next court appearance in April. Since his arrest Thursday for the homicide of his in-laws, Jon and Marion Setzer, I’ve seen Richard Parker’s mugshot on CNN and on local news out of Boston. I have read the BBC’s account of his alleged crime. My first post, written yesterday, may make it clear why I find this surreal. Tennessee outlets have reported as much as they could about Richard, some emphasizing that he taught Sunday school at First Nazarene in Nashville, with his wife, Laura. Recently, Laura and Richard* had even had kids from their church over for a campout. Today the Los Angeles Times published a report that helped me clarify why I was compelled to write about this crime, even though I’ve avoided covering crime stories since 2010. …first offered to fix up the house for nearly $150,000. He said Parker returned two weeks later and offered to do the work for $60,000 because he wanted to start doing business on his own and this could serve as a model to show potential customers. Parker and Martin signed a contract written by the now-dead father-in-law, Martin said. Richard fell behind on the job. Sometimes he would work all night. Mr. Martin said he wouldn’t pay Richard if he couldn’t do the work. His house burned down. The Times reports that investigators found traces of gasoline at the site, suggesting arson. Richard was arrested and ultimately sentenced to 4 years probation and ordered to pay $40,000 in restitution. Richard Parker has seemed like a churchgoing family man with a stable marriage and four kids since the arson that saw him on probation from 1993 to 1997. Those unaware of certain church traditions of forgiveness and forbearance may be surprised at this, but I’m sure Richard’s church family will stand foursquare behind him, perhaps even if he’s convicted. People with Richard’s qualities, rudimentary as they may have been when we were kids, probably don’t have real faith save in themselves. They can become close to a partner and their own kids, but it’s often out of recognizing the need for a stable home base as much as anything. The Richard I knew as a boy was of a piece with the man described by Danny Martin. Quiet, apparently innocuous, but cold and calculating. Looking for an angle, an advantage, an out. This story is more personal than anything else I’ve covered, so I want to step back and take a more classic “crime blogger” tack regarding the bomb police allege Richard used to kill his in-laws. I discussed the case with a friend who is an expert in military ordinance and disposal. He’s my age and has been doing Hurt Locker-style work for I don’t know how long. He knows his stuff. *I made a conscious decision to abandon a news writer tendency to refer to a suspect by his last name with Richard Parker. He’s always Richard in my head.